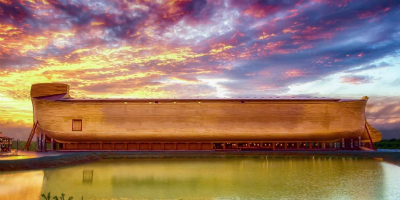 Come with us to Northern Kentucky to visit the Creation Museum & the Ark Adventure! Walk through the Garden of Eden. Dig up dinosaur bones or come face to face with T. Rex at the incredible Creation Museum and be prepared to be blown away as you explore the life-sized reconstruction of Noah’s Ark. Built according to the dimensions given in the Bible. You will enjoy these and other amazing attractions on this amazing trip. Join us! This escorted tour includes motorcoach travel, luggage handling, 5 breakfasts, 5 nights accommodations.